From its humble beginning more than 70 years ago, HIROSE ELECTRIC CO, LTD, Japan, a specialized manufacturer of connectors, has expanded its network of sales offices & distributors to more than 23 countries across the globe. HIROSE has a high reputation for its technical capability on the global market, the HIROSE brand image is synonymous with technical excellence. This gives us the motivation to go ahead to achieve worldwide recognition of the HIROSE brand through full management commitment towards globalization. 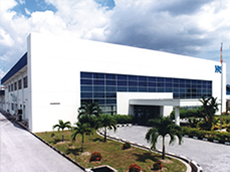 Hirose Electric (M) Sdn Bhd was established in 1989, and is one of the first manufacturing plant outside Japan for Hirose Electric Co, Ltd. Since then, Hirose Malaysia has grown tremendously and provide significant contribution to the manufacturing of world class connectors on par with Hirose's stringent quality control standards. Connectors manufactured by Hirose Malaysia are widely featured in leading mobile phones, computers and automobile industries world-wide. With its strategic location in Malaysia, HIROSE Malaysia is able to meet the growing world demand for connectors with a reliable supply chain system. Hirose Malaysia's production process is strategically integrated to ensure consistent high quality standards to meet customer's requirements. In other words, Hirose Malaysia manufacturing plant produces its own parts which are necessary to assemble connectors. There are the electro-plating, metal stamping and plastic injection moulding processes and the final assembly of the connectors within the world class facilities available in the plant. By producing our own parts, HIROSE is able to ensure reliable internal supply chain and commitment towards prompt delivery and competitive pricing. Hirose Electric (M) Sdn Bhd obtained its ISO 9002 Quality Management System in 1996 and successfully achieved the ISO 9001:2000 version. We have also achieved the Environment Management System, ISO 14001:2004. HIROSE ELECTRIC SINGAPORE PTE. LTD.